From here, it's also possible to peek through the cooling vents into the interior of the building. 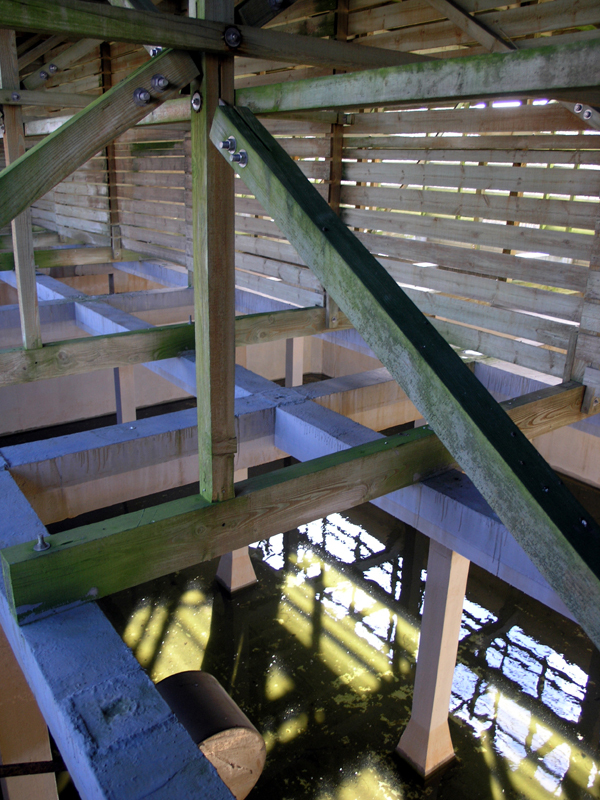 It is entirely built from wooden frames bolted together and mounted on the concrete foundations of the cooling ponds beneath. Interior of the Air House Cooling Towers looking south-west.